You may have seen a fellow traveler bring a small dog or cat into the airplane cabin or take a larger dog with them as checked baggage. But did you know that a few US airlines allow you to bring your pet bird with you on your flight, provided you meet certain conditions? Which Species of Birds Can Fly With Me? Each airline specifies which birds are permitted as carry-on baggage or as checked baggage. Typically, your bird must be a "household" bird – a pet, in other words, not a wild bird – and it must be odorless and quiet. Hawaiian Airlines, for example, says that your bird must be "harmless, inoffensive, odorless and not require attention during flight." Most airlines that accept pet birds will not allow you to bring chickens or other poultry, only pet birds such as finches and parakeets. If your bird is particularly noisy, call your airline to find out whether your bird is a good candidate for in-cabin travel. Can I Bring My Bird With Me into the Cabin? Some airlines allow birds in the cabin, provided their kennel will fit under the seat in front of you. Others will only accept pet birds as checked baggage. You will be charged a fee, typically $75 to $125, to bring your bird with you on a domestic flight (see table below). Can My Bird Travel in the Cargo Hold as Checked Baggage? This depends on your airline. Some airlines allow birds in the baggage hold, while others do not. Can My Bird Travel With Me at Any Time of Year? Many air carriers restrict pet travel when the outside temperature is or is predicted to be above 85 degrees Fahrenheit or below 45 degrees Fahrenheit, particularly if your bird must travel as checked baggage. This would exclude most of the summer, most of the winter and some spring and fall travel dates in many parts of the United States. If there is an unusual heat wave or cold snap, you will have to check the weather forecast prior to your flight to make sure your pet bird can still fly with you, even if you have already paid for your bird's flight. Some air carriers have blackout dates for pet travel. Typically, these dates include Thanksgiving weekend and the Christmas travel season. Blackout dates vary by airline. If you must travel at a time of year when temperatures could exceed or dip below these benchmarks, you should be prepared to change your travel plans at the last minute or fly without your bird. Can My Bird Travel With Me to Another Country? Perhaps. You will need to carefully research the requirements of your airline, your destination country, and any stopover countries on your itinerary. The best way to do this is to go to your airline's website and search for terms such as "pet travel," "travel with animals," and "birds." What About Service and Emotional Support Birds? Service animals are not pets. Different policies apply to service animals, particularly in the United States, where the Americans with Disabilities Act and the Air Carrier Access Act apply. Emotional support animals are neither pets nor service animals. Each airline has its own policy and documentation requirements for emotional support animals. Documentation usually includes a letter from your doctor stating your need for your emotional support animal. Contact your airline before you book your flight so that you are sure you understand the policies that apply to your situation. Will I Encounter Any Other Restrictions? Some airlines will not permit pets to travel from particular airports or cities. For example, Hawaiian Airlines will not accept pets from Phoenix. United Airlines cannot accept birds on some flights but will accept them on others. Pet fees vary by airline. Airlines charge one-way fees for pet travel, so you will pay that fee twice, once on your outbound journey and once on your return trip. On most airlines, endangered and threatened species of birds may not travel with you. The most important restriction you may encounter involves cross-border travel. Some countries will not accept birds shipped from certain nations. Island nations, states, and provinces, in particular, try to guard against animal-borne diseases and often impose a long list of requirements for travelers wishing to import pet birds. Will My Pet Bird Be Okay? It is difficult to predict whether taking your pet bird with you on your trip will be more or less stressful for your bird than leaving it at home with a pet sitter. 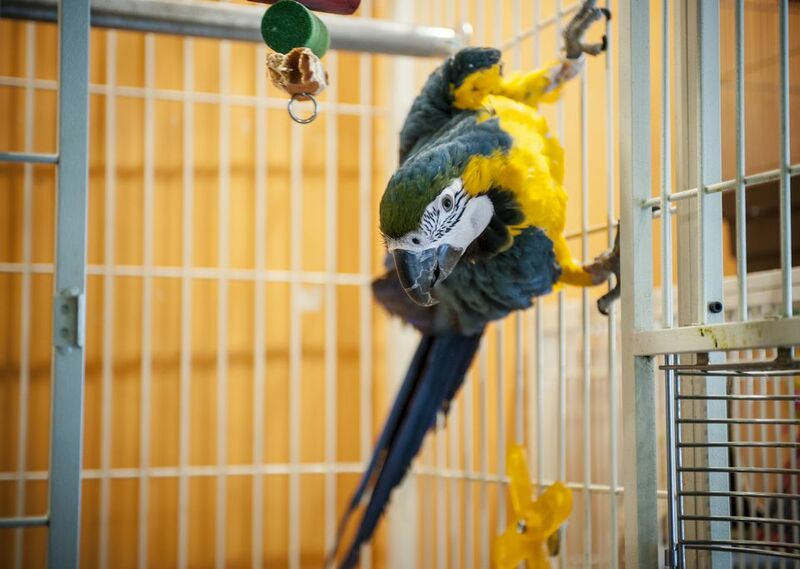 Discuss your options with your vet before you decide to bring your pet bird on your flight. All prices are for one-way trips in US dollars. United Airlines $125 Yes, in cabin or as air cargo Domestic (US) flights only for in-cabin travel; stopover fee applies for layovers of 4 hours or more. No in-cabin pets to or from Hawaii.